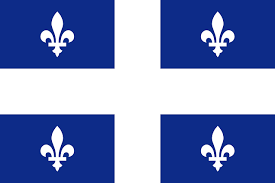 On March 28, 2018, the government of Quebec has published important changes with respect to the economic categories of immigration, which entered into force on August 2, 2018. Under the new immigration regulations, as announced in April 2016, it will be necessary to first declare your interest in immigrating to Quebec and then receive an invitation to deposit an application for the Quebec Selection Certificate. This certificate will now be valid for two years instead of three. That system of Declaration of interest works under the same general principles as the federal system of immigration Express Entry. The Statement of Interest affects the regular program of skilled workers, but not the Québec experience program. The program will have two important changes. One is that there will be no restriction on the level of employment, under the new article 34 of the Quebec Immigration Regulations. The previous regulation only considered the work experience of 12 months or more in Quebec level 0, A or B. The second important change, under the new Article 35 of the same Regulation, is that the accompanying partner of a student or temporary worker may be the principal applicant, if it meets the other criteria of the program. Previously, the accompanying couple with an open work permit could not be a principal applicant. These changes are extremely important and of great advantage for the candidates. It will be necessary to create a profile in the Portal Arrima. Selected candidates will receive an invitation to deposit an application for Quebec selection certificate through Mon Projet Quebec. Human capital (age, level of French, level of studies, family in Quebec, among others). Integration into the market according to the current needs of the labor market. Also, criteria such as a validated work offer, a certain Québec diploma or the fact that you have been working in Quebec for at least 6 months could allow you to receive an invitation. The knowledge of another language (we can assume, English). The level of studies and the level of French (of the main applicant or of the couple, depending on what is most advantageous). The level of studies, with work experience in Canada or the United States, with the level of French. Work experience outside of Canada or the US, with the level of French. Work experience, with work experience in Canada or the United States, with the level of French. Candidates with a work permit of 12 months or more, having worked 6 months or more and working full-time.